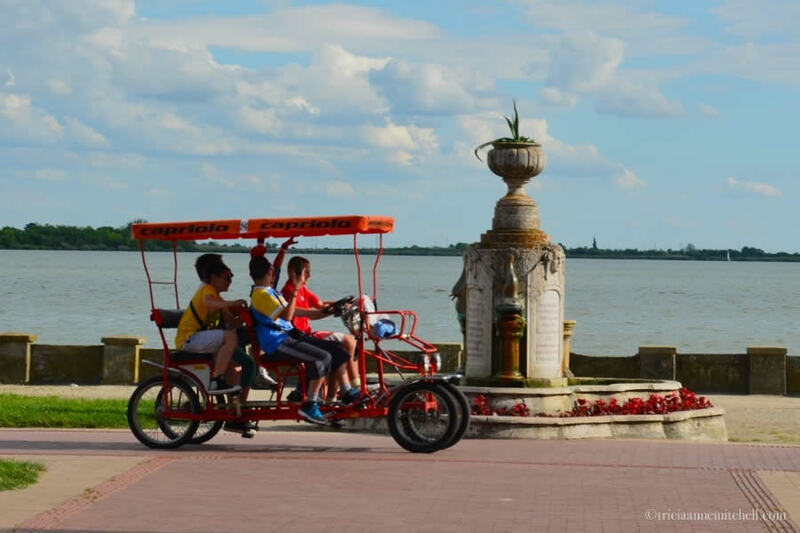 Youth on a field trip excitedly pedaled double cycles on the promenade along the lake. A few vessels floated on the water, and frilly Art Nouveau buildings, designed in the Hungarian Secessionist style, surrounded the lake. (The style of architecture is referred to this way because Secessionists essentially seceded from the mainstream, traditional art institutions of the time, opting for more progressive designs and philosophies.) 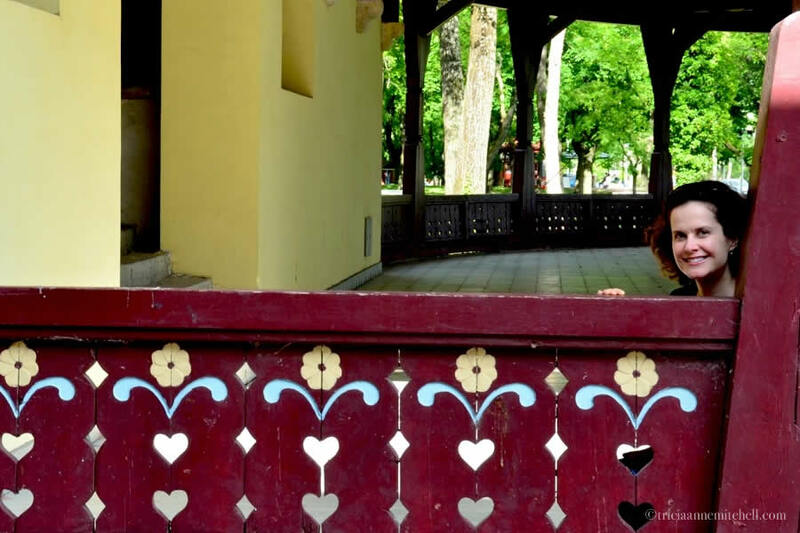 Palić’s structures were built by Hungarian architects Komor and Jakab, who also designed Europe’s second-largest synagogue in the nearby town of Subotica, as well as its town hall. Sadly, Komor would perish during the Holocaust. Perhaps it was the expansive lawns, or the knowledge that this was an old resort area, but I couldn’t get Seurat’s painting, A Sunday Afternoon on the Island of La Grande Jatte out of my mind. I envisioned ladies holding parasols, watching sailboats glide on the lake, and children chasing each other on the shaded lawn. Since there is a zoo within the park, perhaps even the painting’s mischievous monkey would make an appearance. 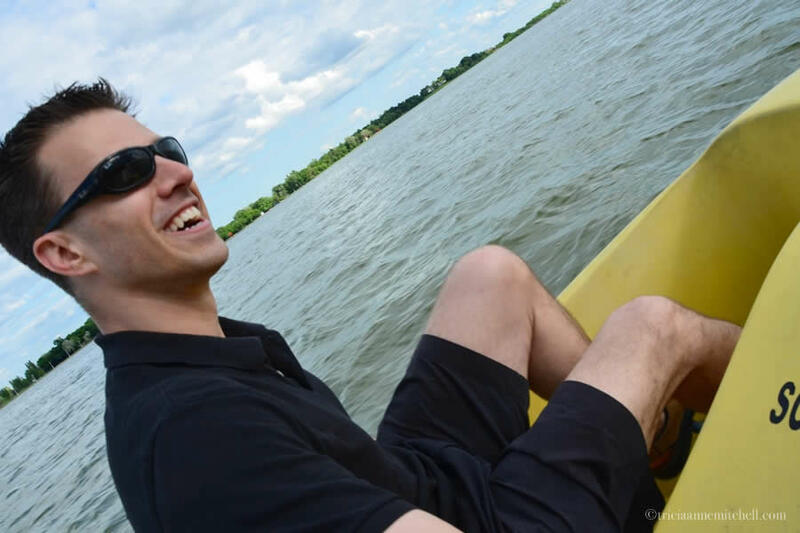 Despite the midnight blue clouds that loomed overhead, we were determined to take a paddleboat out for a spin. 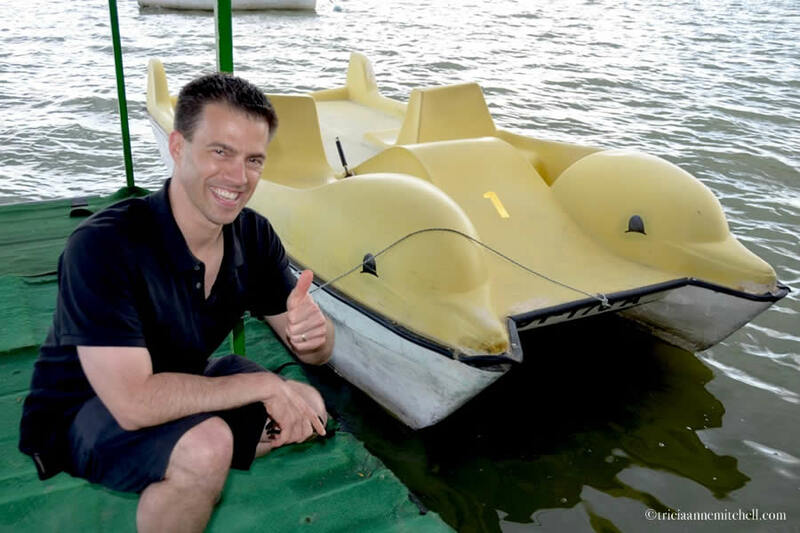 Handing over 500 Serbian Dinar (about $5 USD), we purchased 30 minutes of paddleboat or pedalina time, then took to the waters. We powered past the elaborate Women’s Lido building, which was previously used as a beach for female bathers, when privacy was of utmost importance. The curly adornments on the top of the building’s roof reminded me of a Southeast-Asian pagoda. We passed a couple in a rowboat whose wooly dog stood at the boat’s bow, peering into the water below. We returned to land just as the raindrops began to dance from the sky, and sought refuge in a café inside the Women’s Lido, enjoying a piva (beer) and topla čokolada sa šlagom (hot chocolate with a fluffy dollop of cream). On the way back to our home away from home, an elegant egret flirted with us along the water’s edge, before we walked back through the fairy tale forest. 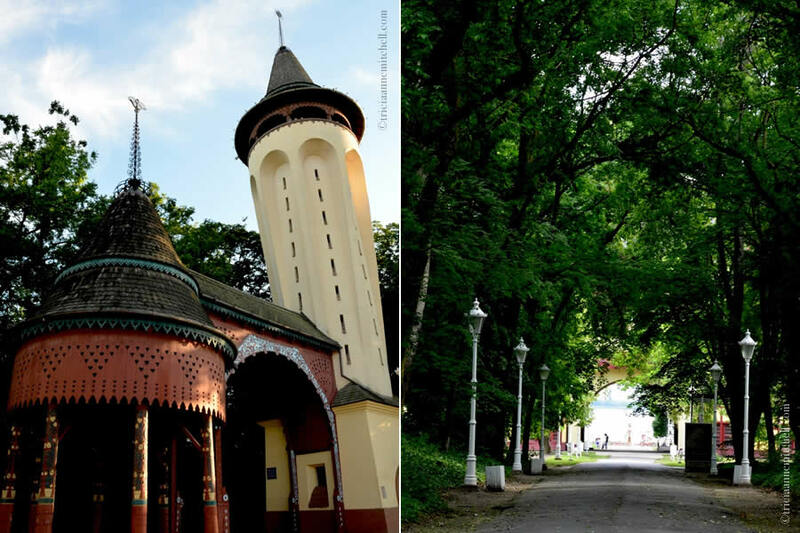 The entrance to the Great Park is via this water-tower, which leads to a pretty promenade covered by a canopy of old trees. 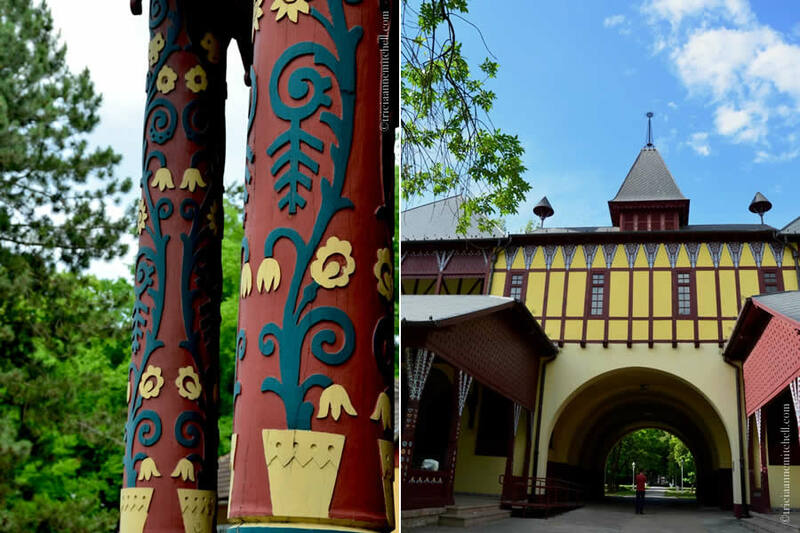 Detail’s of Palić’s Watertower, which was opened in 1912. School-children on a field trip flashed euphoric grins as they piloted these double cycles along the promenade. Undoubtedly, they also stopped at Palić’s neighboring zoo. 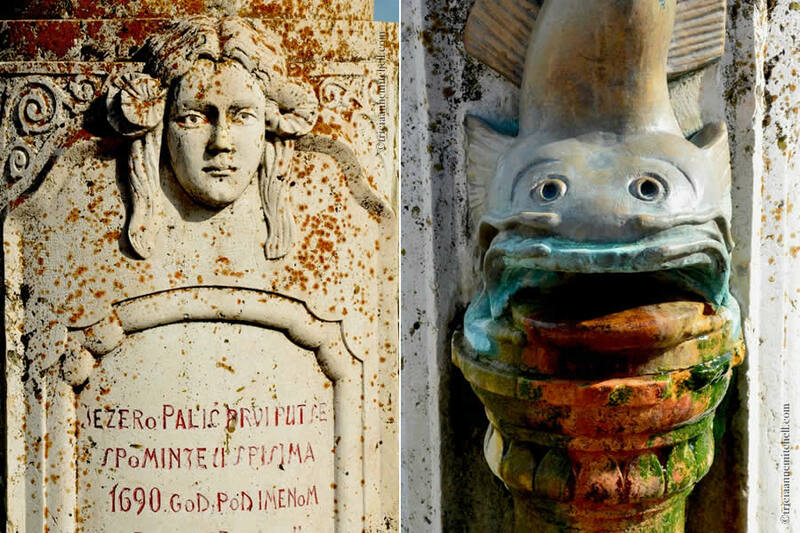 The fairy adorning Palić’s lakeside fountain. This graceful egret (right) kept flirting with us as we walked along the lake. 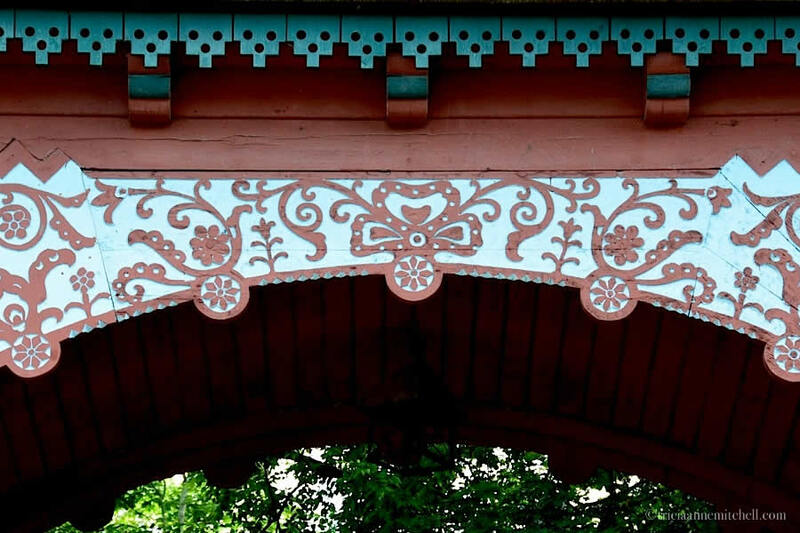 Designers incorporated folk-art motifs into the park’s architecture. One of the massive blue, ceramic jars gracing the park. 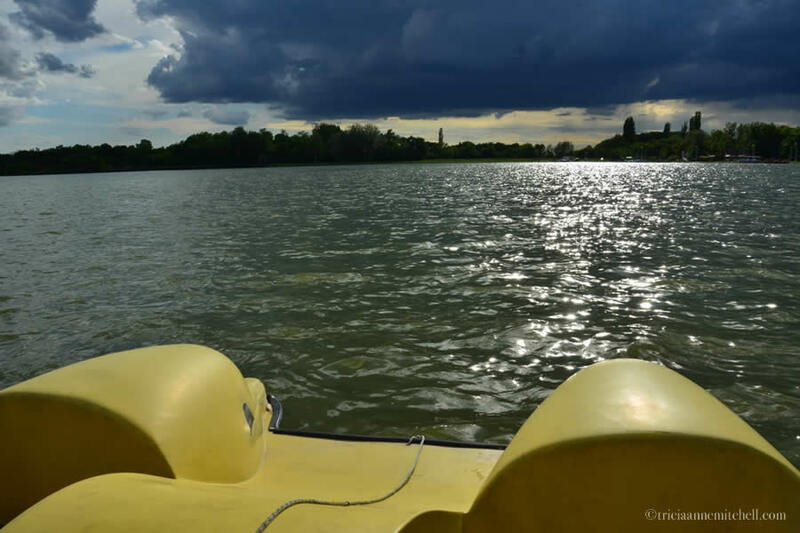 Ominous clouds roll in, nevertheless, we’re determined to take a paddleboat out for a spin on the lake. Our vessel of choice: Yellow Dolphin Paddleboat No. 1. 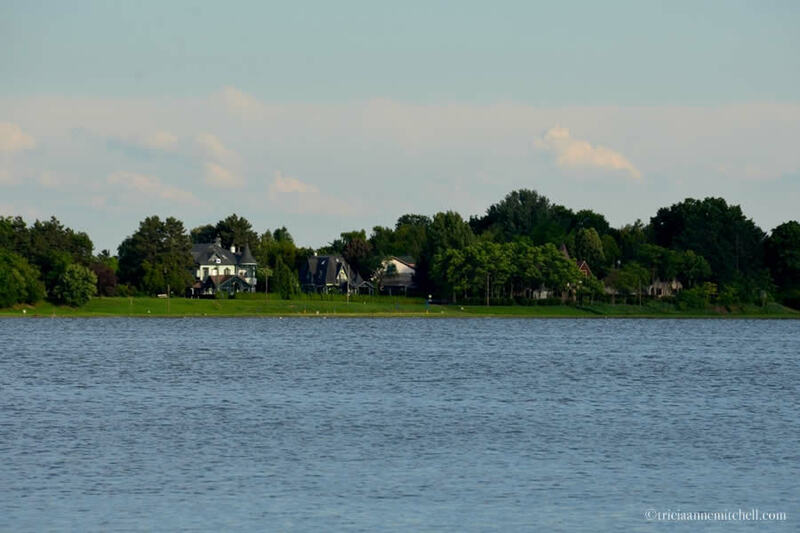 Though storm clouds had entered the lake area, we saw a few sailboats and rowboats out on the water. 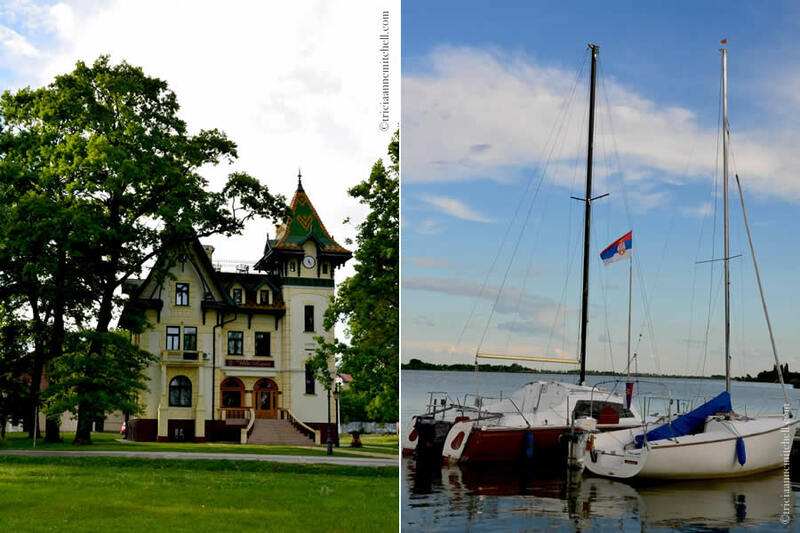 Palic Lake and the village of the same name are located just 8 km. 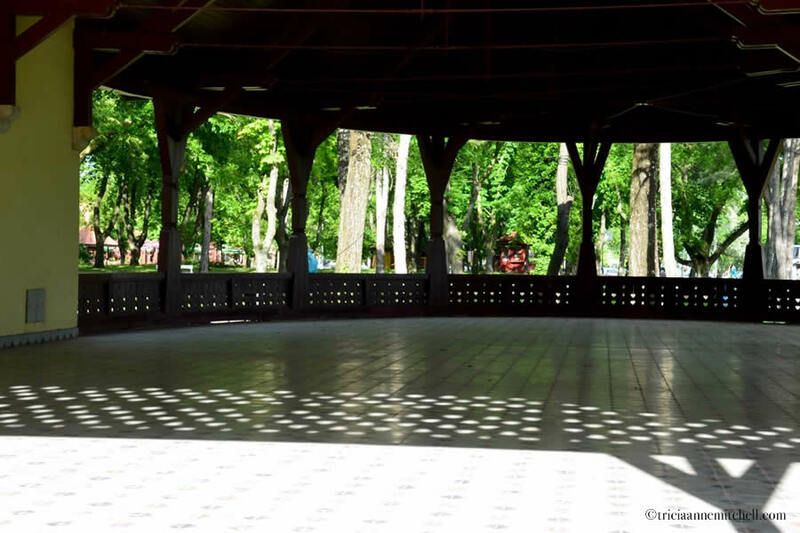 (about 5 miles) from Subotica, Serbia’s fifth-largest city. 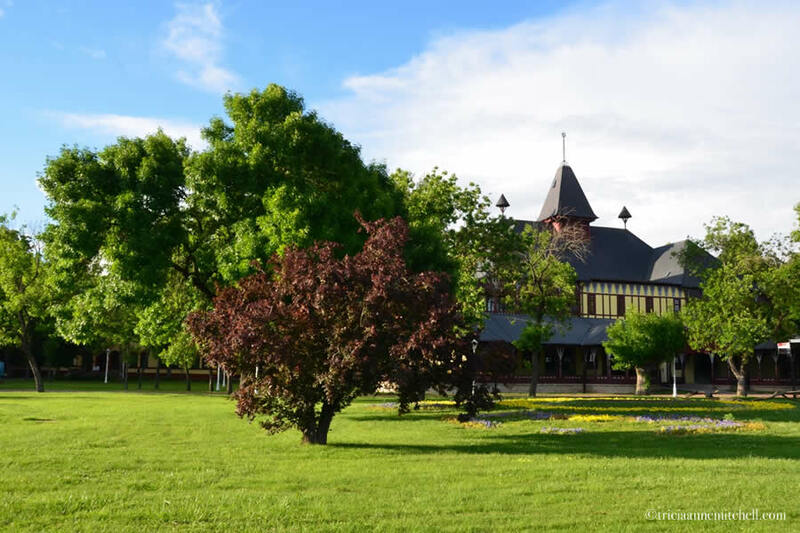 Visit the Palić Tourism Office website for more details. We stayed several nights in the family-owned Stara Breza Apartments (affiliate link) in the nearby town of Palić. We enjoyed the establishment’s quiet atmosphere, made even more picturesque by its small fishpond and pleasing garden. It’s about a five-minute walk from the Stara Breza to a bus stop, and the bus there can take you to Subotica in about 15-20 minutes. As of May 2014, the bus-fare for one adult was 86 Serbian Dinar, about $1 USD each way. 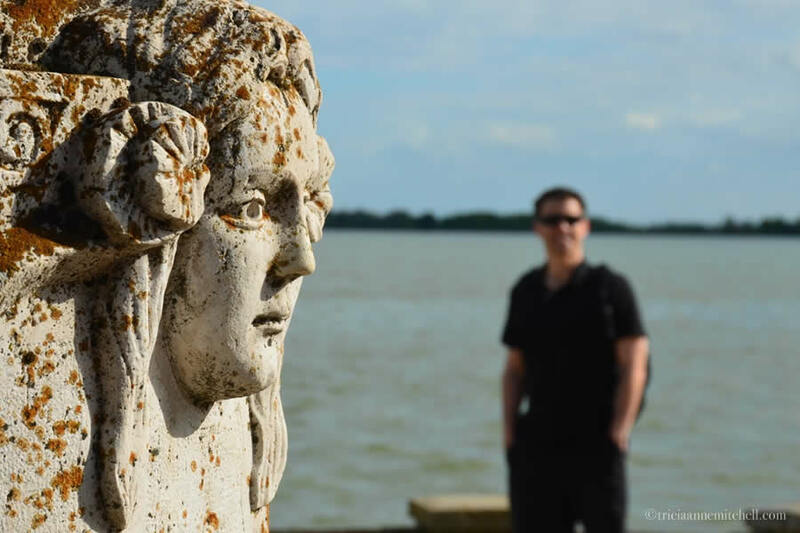 Palić has a lovely lake and was a popular resort town in the early 20th century. Need more trip-planning inspiration? From Belgrade to Novi Sad, this link contains an index of all my posts from Serbia. Photography & text © Tricia A. Mitchell. All Rights Reserved. The video was created by my husband, Shawn. Quite a fairy tale setting amongst the Art Nouveau buildings. Lovely lake. Could you just adopt me? I’d be a very well-behaved and quiet travel companion. Informative and entertaining narrative … and excellent pictures! Bespoke Traveler, we often have thoughts like that when we travel – “wouldn’t it be incredible to step into this chapter of history and walk these cobbled lanes?” Inserting ourselves into a painted masterpiece also sounds like fun. I adore your posts, Tricia, each of them takes me to a different adventure of yours and I can let my imagination fly like a bird. Are your plans still moving ahead for Poland this summer? Ah, diversity and common threads are the charm of artists! Yes, I am going to Poland, Krackau, 2nd of September I think, any recomondations of unusual places I need to see?? Cornelia, it’s been so long since we were there (2005 perhaps) and we had such a whirlwind trip, that I don’t recall any particular places. It seems that a return trip is in order. 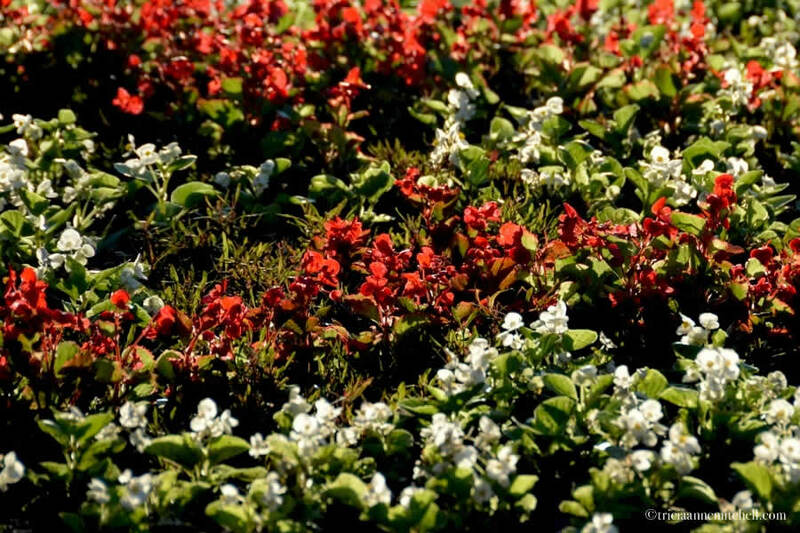 :) I suspect September will be a perfect time of year to visit. Seems like a very beautiful country, maybe I should go visit. We go to Romania every year anyway, so we could stop on the way. Anda, we’ve just returned from only visiting the north part of Serbia, as well as Belgrade, but we really enjoyed our time there. As in other spots of Europe, Serbia has many fests devoted to various foods during the summer months, and so we thought it’d be fun to return later in the year. If I remember correctly, you have a connection to Budapest, don’t you? 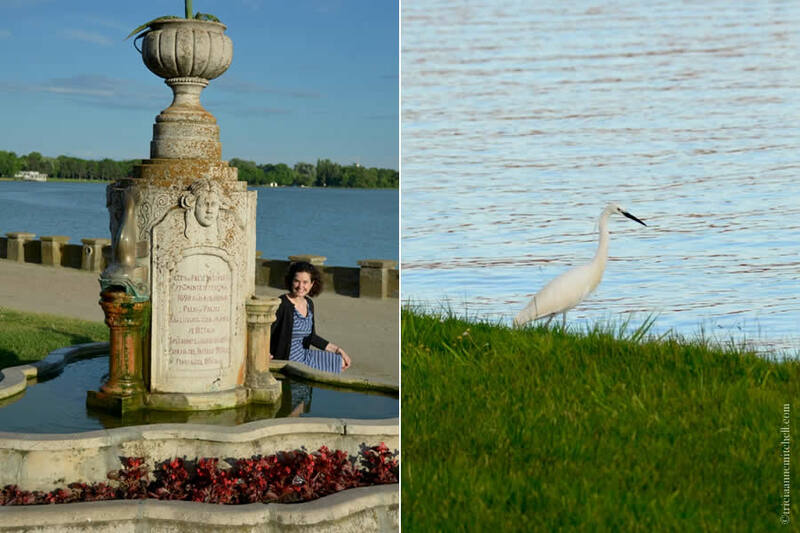 This pretty lake area is only about 2.5 hours away from Budapest by car, and we heard that nearby Szeged, Hungary, has similar Art Nouveau architecture to Subotica, Serbia’s. Melinda, I imagine that’s true, especially because the zoo is just a few moments’ walk away from the lake. We’d contemplated visiting there, but enjoyed the quiet moments along the lake so much that we decided to soak up the view the entire time. Sid, it was a fantastic afternoon and a brilliant way to blend a bit of physical exercise with a sweet indulgence. 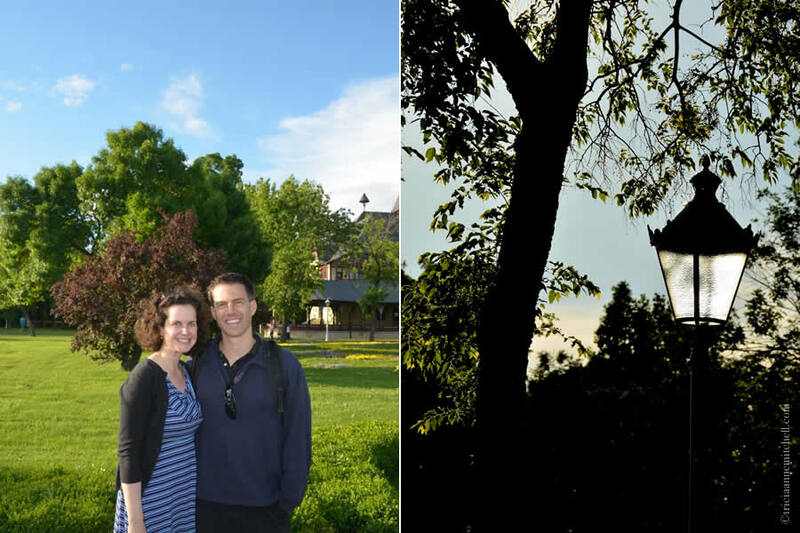 :) You seem to be an avid globetrotter – have you also been to the Balkans? Your pictures are very nice. It looks beautiful there. Many thanks, Gerard! It’s quite fun to discover such little gems which seem relatively undiscovered. Knowing that you like wine, I’ll add that the vino is also quite nice in Serbia (more on that soon). Enjoy the weekend! Randall, we pinch ourselves quite often to see if we’re really in these places and having these wonderful moments. 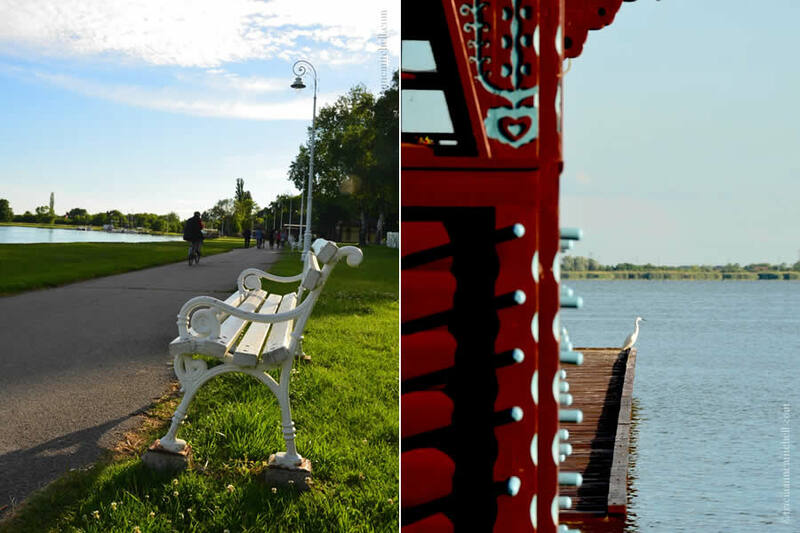 :) Palić Lake and Subotica epitomize the somewhat-undiscovered gems that we love stumbling upon. Perhaps once you make it to Croatia you can take a little detour to Serbia too? Very nice, I would still get sea sick. Yeah big time on boats, rigs I’m ok.